Would you like an extra $100-$1,000 per month? To find out how to get more money read this article. It builds off of my first groundskeeper article. Being a groundskeeper means that you clean properties. Properties such as apartments, Walmart’s, and malls. It’s easy but humbling work. I highly recommend that you read my article on groundskeeping first. You can read and comment on that article here. How to Get Think and Go Hustle For Free? 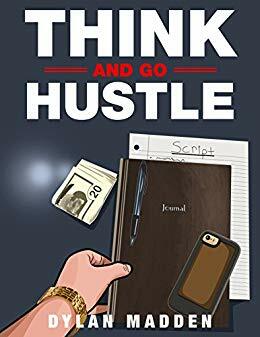 For a limited time I’m offering free PDF copies of my popular book Think and Go Hustle. Join the 1,000+ people who have read it already. Download entire Script Creation level. Grab one full level from Think and Go Hustle for FREE. You can also buy a paperback or Kindle version here. In this podcast I’m giving you some extra ways to make more money. They’re small jobs that offer hundreds of dollars each. Things such as painting curbs, power-washing, and flipping products. You will need some equipment to get started. For painting curbs you’ll need yellow paint, a roller, and paint tray. Don’t get anything crazy. Keep it simple with this one. As for power-washing here is what I recommend. This power-washer is what I personally use. It’s simple and gets the job done every time. You can use a cheap power-washer in the beginning. But if you’re serious you’ll invest into the power-washer below at some point. What I want you to pay attention to is that you can duplicate this. Take power-washing as an example. You do it once a month for $100. Now do that at 3 other properties each month. That’s $300 extra in your pocket every month friend. I believe you’re ready for the podcast now. Go ahead and play the audio below. 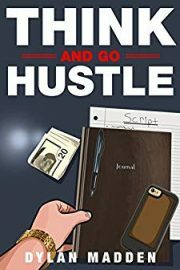 Grab your free copy of Think and Go Hustle here. Previous Post: How to Make Money Groundskeeping?